Dolphins not so smart after all? We’ve been told that dolphins are the smartest creature after humans. Apparently it’s not true! We’ve been conned by the dolphin’s smile and stories of its social and sometimes helpful behaviour. That’s according to Justin Gregg, a biologist and researcher with the Dolphin Communication Project, who has just written a book “Are dolphins really smart?” in which he challenges previous scientific research. Dolphins show many complex behaviours such as living in large groups, showing empathy and communicating with their peers but such behaviours are also found in other animals such as chickens, pigs, and bears. So dolphins are not so special after all it seems and furthermore have a propensity to be violent towards their fellow cetaceans such as porpoises. The book comes out at a time when some academics are calling for more protection and moral rights for dolphins based on their brain power. Only last year scientists called for them to be classed as non-human persons. The idea that dolphins were special dates back to the 1950s when neuroscientist John Lilly wondered why they had such large brains and experimented on them convinced they were trying to communicate with him in dolphinese. The television series Flipper contributed to their popularity in the 1960s. And in the past both American and Russian navies have used trained dolphins for marine warfare purposes. Gregg thinks that in some respects they are less sophisticated than chickens having no distress or food calls. And bottle-nosed dolphins have been recorded killing harbour porpoises, seemingly for the fun of it as they don’t eat them. In Australia groups of male dolphins have been observed isolating females and forcibly mating with them. 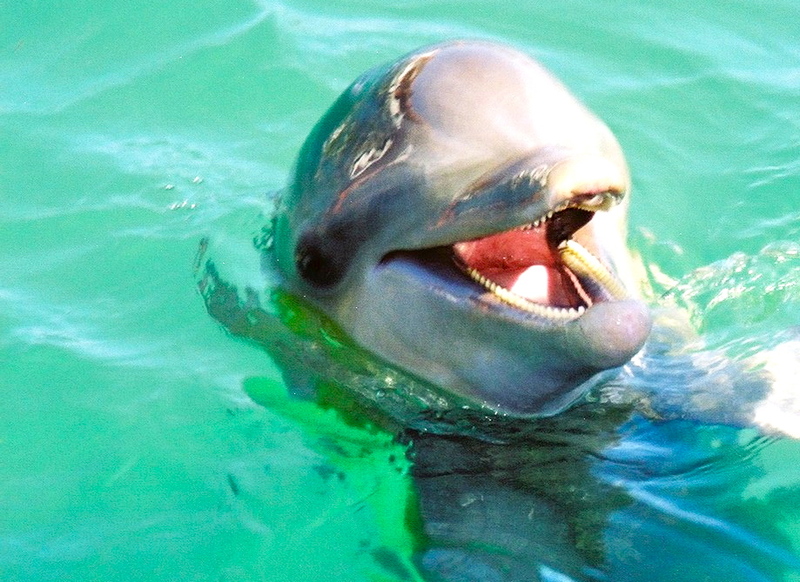 My only experience of dolphins, swimming with them in Cuba, was a painful experience when one of them (pictured) thrashed my leg with it’s tail giving me a dead-leg in the water. Very painful but I put it down to the young creature’s mischievousness and went back in for a second session. Looking back I’m not so sure! Categories: Education, Relationships | Tags: brain, cetaceans, communications, complex behaviours, Dolphin Communication Project, dolphins, empathy, Flipper, marine warfare, porpoises | Permalink. In fact they can have the opposite effect. 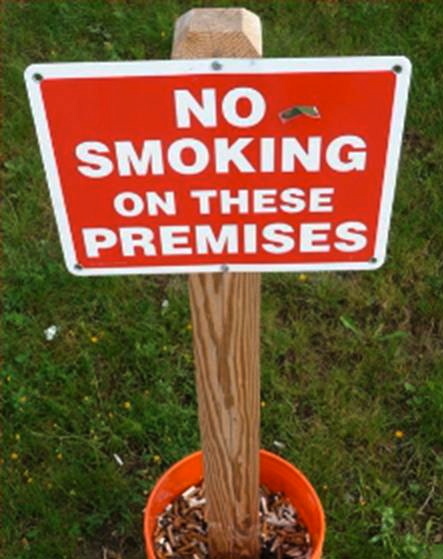 Research among smokers in New England showed that when smokers saw “non-smoking” signs they thought about wanting to smoke as the idea was put into their heads – even though they may not have consciously noticed the sign. This is not news for anybody who has been told “don’t think of a purple elephant” who then of course has that image in their head. It seems the brain has to process what it is you are not supposed to be doing and doesn’t seem very efficient about handling negative statements. (So parents don’t tell your kids what they shouldn’t be doing but what they should, and managers give your staff objectives which are positive not negative). A researcher from Oxford University makes the point that many Public Health campaigns are telling people what they shouldn’t be doing and this may have the opposite effect. Categories: Health, Psychology | Tags: brain, Public Health campaigns | Permalink. So dogs have got bigger brains than cats. And scientists say that’s because they socialise more. Dogs are well known to be social pack animals, which is why owners have to be the alpha dog to keep the them from wrecking the house and chewing your shoes. Cats on the other hand are considered more aloof – doing you a favour coming home at night and that kind of approach. Now scientists say that cats have paid the price for being aloof and have lost ground to dogs in terms of brainpower because of it. In a study published in the Proceedings of the National Academy of Sciences, they charted the evolution of the brain for over 500 species, living and fossilised, over the course of 60 million years. They found that the groups of mammals with relatively bigger brains tended to live in stable social groups. 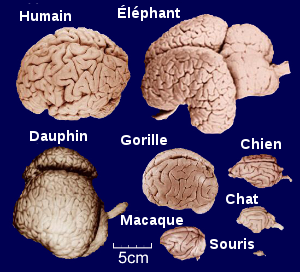 The brains that grew most over this time were monkeys, followed by horses, dolphins, camels and dogs. The brains of more solitary animals like cats, deer, and rhinos, grew much more slowly. It appears that interaction is good for the brain which is probably why humans, who are the more social than monkeys and apes, have dominated the planet. Cooperation and coordination requires more brainpower so brains have evolved to cope with those challenges. Not everyone agrees. The dog supporters say that cats do what they want whereas dogs think about how they can get other people to do it for them and can build relationships with different species. Cat supporters say cats choose to live alongside man to exploit the rodent population while still enjoying their independence. Truly the world can be divided into dog people and cat people. And where do well-known social creatures like ants and bees fit into this? Not to mention pigeons! Categories: Psychology, Relationships | Tags: brain, cats, dogs, social skills | Permalink.